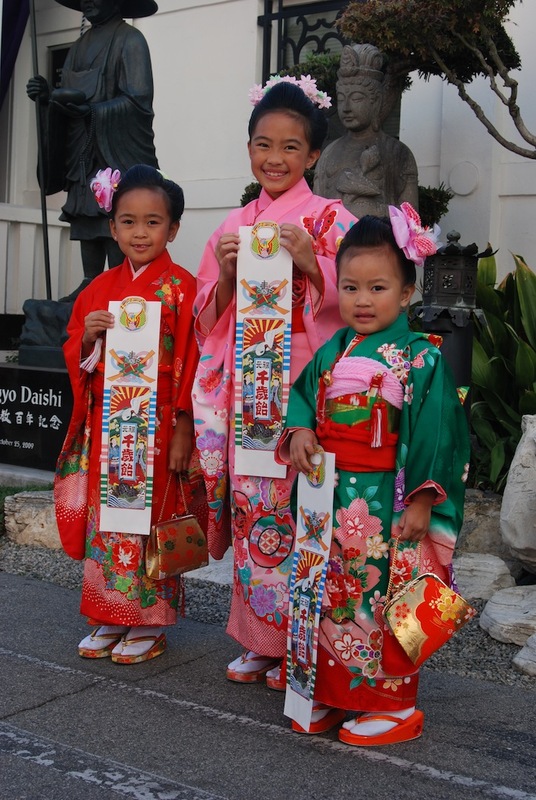 The traditional Japanese ritual of praying for the growth and health of children, particularly for the ages shichi (7), go (5) and san (3), will be observed at the Koyasan Buddhist Temple of Little Tokyo, 342 E. 1st St., Los Angeles, from 1:30 p.m. on Sunday, Nov. 16. Applications for the ritual prayer are being accepted with a registration of $35 per child payable at the temple on that day. Applicants will receive a special omamori (amulet) and chitose ame (hard candies). Toyo Miyatake Studio will be on hand to take commemorative photos at the temple from 12:30 p.m.
For more information, call (213) 624-1267, email, or visit the Koyasan website.